Mademoiselle L. is a french architect - graphic designer - film maker - film editor - writer. She lives and works in Paris as a freelance graphic designer, also as the graphic design team's manager at les Ateliers Jean Nouvel from 2002 to 2012 . She currently runs a 4-people team as a shift manager for the whole graphic design and signage concept of Le Louvre International in Abu Dhabi by Jean Nouvel, working simultaneously on La Philharmonie's frontage by Jean Nouvel in Paris. She has collaborated with Mia Hägg, on the layout of the forthcoming Eija-Liisa Ahtila's exhibition at Moderna Museet in Stockholm, 11 February 2012 - 6 May 2012. STIMULUS ERROR : a phobic construction (concept, images, CD-Rom - © 2000 limonadeart) inspired by some symptoms and characteristics chosen from spatial psychopathologies. It comprehends this architecture-installation as a constant structuring of a shape (or image) which is immediatlydissolved in order to be recreated instantly but in a different way. STIMULUSerror is a space for experimental art. It was published in Parpaings french arts and architecture magazine in Dec. 2001 and showcased at Les Interférences Gallery in Montréal in Feb. 2002. THE TREMBLING HOUSE : concept, images, CD-Rom (© 2001 limonadeart), a mad house for Lenore, a comics' character by Roman Dirge, which starts vibrating and moving around when entered. Lenore gets thrown onto the bed as soon as she comes in... beside other things. SPIN : images, CD-Rom (©2001 limonadeart), concept based upon quantitative physics and applied to architecture. Architectural project exhibited at Krems (Austria) in association with Insitedsign - Paris agency. 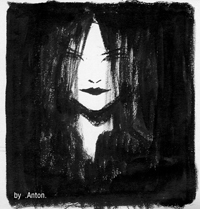 MALORALOMARA : short story book - © 2002. When people out of obsessive habits are subconsciously creating pieces of art in a raw location and permeate one another, the craving hunting crowd happens to soak them up and eventually emulate them, written imagining a scenographic space whose purpose is to receive marks and scars inflicted by its visitors. MUSÉE DU QUAI BRANLY / 2003-2006 : 9m x 205m / 29.5 ft x 672 ft. Quai Branly museum's northern façade by Jean Nouvel in Paris, out of Patrick Blanc's photographs, searcher at the CNRS-landscapist, which follows the geographic evolution of the museum's scenography. Mosaic : graphic design conceived for the museum's flooring inspired from virtual shadows created by an unwanted sun in this place. Opening in June 23rd, 2006. Just check here to see more. or corps-métrage as she calls her film work. It's an under water filming (mini DV). 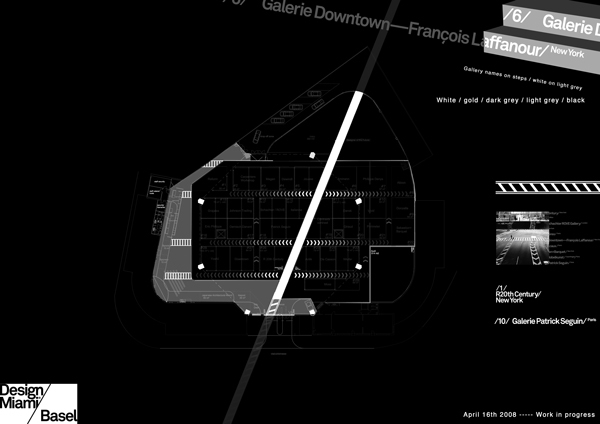 Diatomée was invited at the 2nd edition of the festival ART TRONIC II in Montpellier on May 24th/25th 2004. And a screening in a private art gallery in Paris in Dec. 2005. An alternative version (10'20") of Diatomée adds a video of a track titled Play Couple by Alicaire, a french band, which inspired ML. in a private art gallery Paris (2005). Her second short movie CLAIRE OBSCURE (4'55") -original soundtrack by Omewenne & Amodali- was hosted at Le Festival Tous Courts in Aix-en-Provence for "Dance of the Bodies" experimental program on Dec. 2nd & 4th 2009. It has entered in competition at the 38th Festival Du Nouveau Cinema in Montreal (Canada) in Oct. 2009. CO was selected for preview at the Singapore International Film festival and at the 1st edition of Le Festiquarius Sleeman as well, in Sherbrooke (Québec, Canada), scheduled from 20 to 29 May 2010. ML's third short movie MALOJÁ (6'06") -original soundtrack by Steven Severin- which was submitted to several international film festivals in 2010, year round- was hosted at the 39th Festival Du Nouveau Cinema in Montreal (Canada). Her three corps-métrages were screened at Le Cerisier gallery in Paris in Nov. 2010. MALOJÁ was screened at Tate Britain in London as the opening of Steven Severin performance on Dec. 3rd 2010. She worked on the new album sleeve of the belgian band Modern Cubism (feat. Jean-Luc de Meyer of Front 242) and Jean-Marc Mélot (Modern Cubism), both coming out in June 2012. SLOWED is her last art video, she was invited by Pieter Nooten to work on his new track called slowed (Surround Us, new album out soon). Premiere in January 23, 2013 at FIFI Gallery in Mexico City. She's working on her next new short film and on some collaborations with some artists who will be presented soon here! Meanwhile she uploaded her music video "Go And Come Back" of the american shoegaze band Fleeting Joys here. And a loss of control titled DÉRAPAGE here. An experimental improvisation.